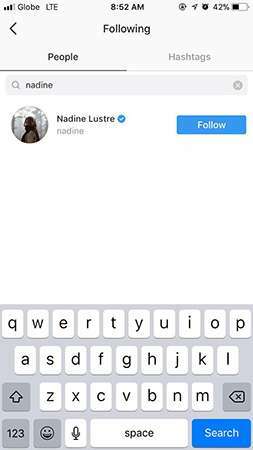 Nadine Lustre is known for obsessively curating her Instagram feed and following hand-picked accounts. 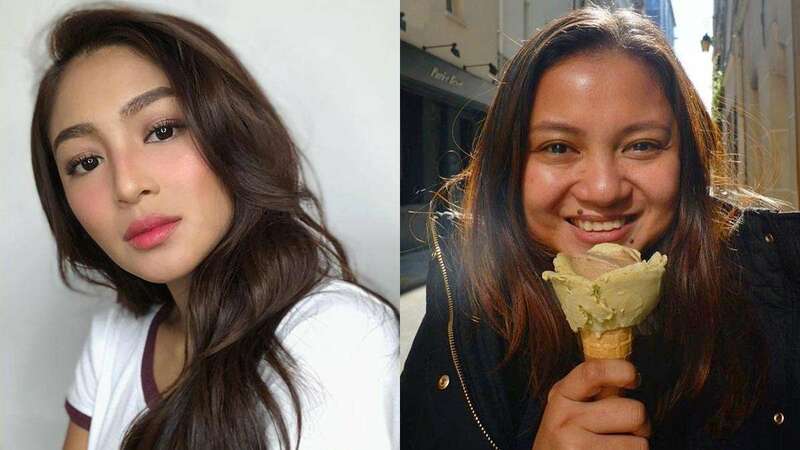 As of this writing, the Kapamilya star follows only 209 accounts, none of which is her long-time director Antoinette Jadaone. 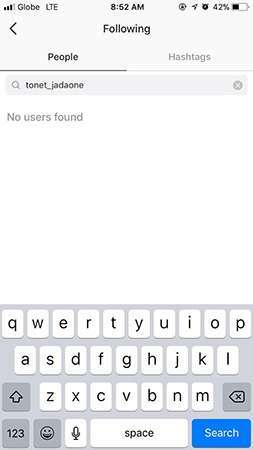 Antoinette, on her part, still follows Nadine on IG. 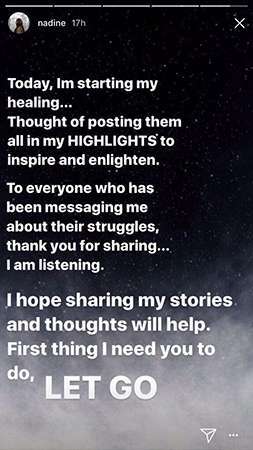 On Nadz's most recent Instagram Stories, she posted about sharing her healing process, the first step of which is to "let go." Nadine previously worked with Antoinette in her two ABS-CBN dramas On The Wings Of Love (2015) and Till I Met You (2016), along with James Reid. JaDine are currently in the process of filming their first movie under Antoinette, Never Not Love You. Their working relationship hasn't been smooth in the past month with Antoinette airing out her grievances on her blog over the delays and cancelations of their shooting. "Filming for [Never Not Love You] is becoming erratic. Sayang, andun na ang momentum eh. More and more shooting days canceled—some reasons more heartbreaking than others, so heartbreaking they make me cry," she wrote. Nadine and James clarified the issue with Nadine revealing she's been suffering from some health problems which hindered her from shooting for the film. The movie's production team, including Nadine, James, and Antoinette, recently got back from London after a week-long shoot overseas.